Sitting in between Minnie Lake and thousands of acres of open range is the long time favored Minnie Lake Ranch House. With an incredible view of the countryside's rolling hills and farm life, the Ranch House is a beautiful and spacious log home accommodating four to eight guests. An easy 4 minute drive brings guests to the shoreline's of the nutrient rich Minnie Lake. Our Ranch House offers every accessory you could hope for. The kitchen area is complete with a range, refrigerator, cookware, dishes, cutlery, and a dishwasher and outside BBQ. The large living room area is carpeted and tastefully furnished with a loves seat, couch, two armchairs, as well as a wood burning fireplace. Sliding glass doors open to a private patio with comfortable cedar deck chairs and a grand view of the rolling hills that are synonymous with cattle country. Cozy sleeping areas include two master bedrooms on the main floor and two enclosed lofts. Full linens are provided for your convenience. The two bathrooms are equipped with a shower and bathtub. There is no television or internet on site, however there is a strong cellular signal at the Ranch House. If staying at the Ranch House isn't for you, guests also have the option of staying in one of our two lakeside yurts. Although Minnie Lake is known for it's fly fishing, there's still plenty to occupy the non-angler! Superb hiking and mountain biking are right at your back door. 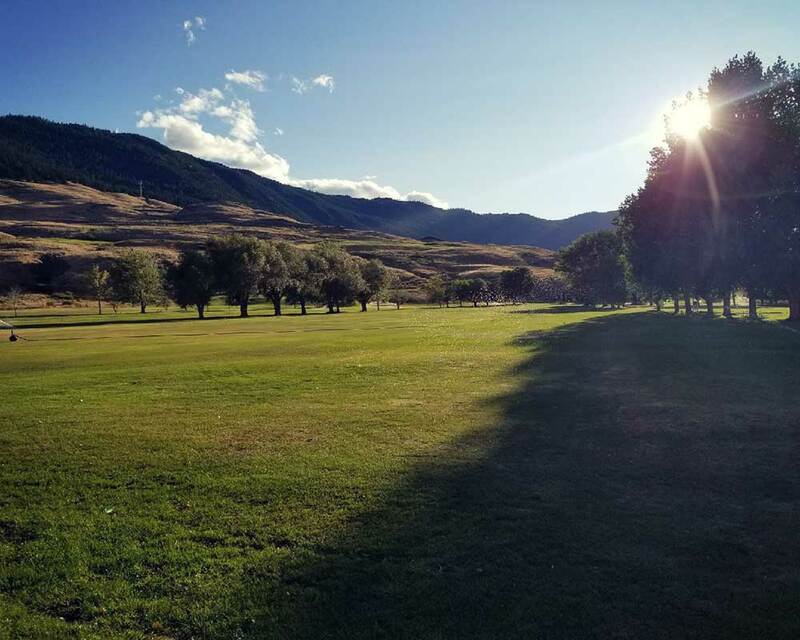 A nine-hole golf course is a short twenty minutes down the road, as well as swimming and boating on nearby Nicola Lake. 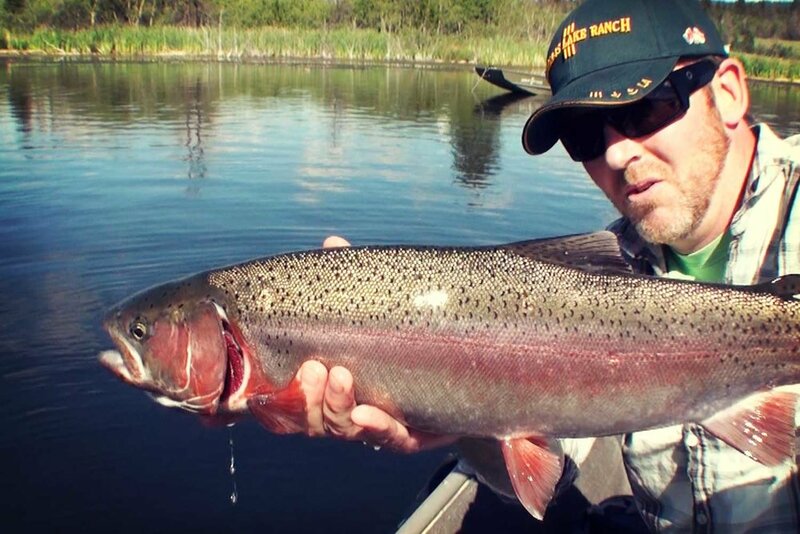 Guests of the Ranch House receive unlimited access and fishing privileges on Minnie Lake. Also included, if weather conditions on Minnie have deteriorated, is the access to Stoney Lake when available. At 3500 feet in elevation, Minnie lake has been quoted as one of the top producing lakes in Canada. With maximum sun exposure due to the low lying landscape, prevailing winds and structure, Minnie lake has no shortage of oxygen, or food for that matter. All three seasons; spring, summer and fall remain very consistent for fly fishing rainbow trout. The spring season is usually the windiest, while at any time during the season sudden Southwest winds can appear. All the regular hatches of chironomids, mayflies, damsels, dragons and traveling sedge occur. Minnie Lake inhabits some unusually larger insects than normal, leeches and scuds (freshwater shrimp) are some worth mentioning. A full selection of floating/intermediate and sinking lines are recommended as these fish can change locations and feeding habits throughout the same day. Four custom stillwater 14' boats with oars, anchors and chairs are included with the rental of the Ranch House. The boats are located on a dock at the South end of the lake, where also stands an outhouse and a picnic table for guests to use. Up to four electric motors and batteries are available to rent with proper charging equipment, located in a locked box charging station outside of the Ranch House. Guests are responsible for transporting/recharging rental batteries during their stay. Guests are welcome to bring their own boats and personal water craft, but please be advised that boats must be completely clean and free of invasive plants (and may be subject to inspection/pressure washing). Gas motors are not permitted on Minnie Lake. Ready to book? Call 1.800.663.4838, email or click below to a request a reservation online. Please note that Minnie Lake Ranch House operates on a seasonal basis only.